some caves are caused by that amazing thing called water erosion because what other alternatives are there? if its not water then ... ? cave on the whitsunday islands in australia - erosion or ? geology or gEUlogy? one of the amazing things about water erosion of caves is how selective it is. there can be a whole cliff face or island and yet it picks only one small section. are there different types of water? like you have "heavy water" or "acid rain" are there other types like "cave water", "dry river valley water"? are some caves formed by the same process that creates some anticlines? is the location of the EU event the difference between an anticline and a cave anticline? 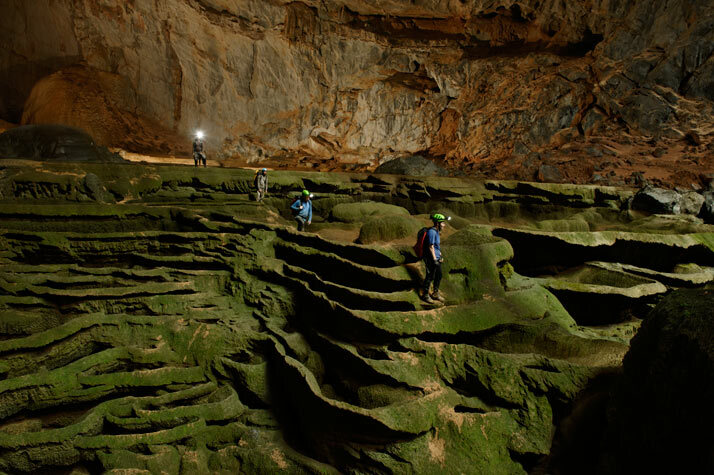 Rare cave pearls fill dried-out terrace pools near the Garden of Edam in Hang Son Doong. 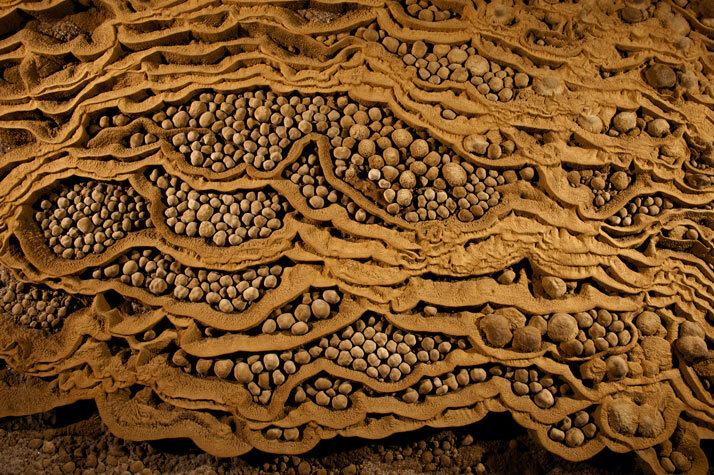 This unusually large collection of stone spheres formed drip by drip over the centuries as calcite crystals left behind by water layered themselves around grains of sand, enlarging over time. never heard of cave pearls ... could they be something similar to martian blueberry's, Apache tears and other rounded things found on our world and Mars?